BoxingScene.com caught up with WBO heavyweight champion Joseph Parker shortly after Floyd Mayweather's 10th round stoppage of Conor McGregor at the T-Mobile Arena on the Las Vegas strip. Parker (23-0) will face his mandatory challenger Hughie Fury (20-0) on September 23rd at the Manchester Arena in the UK. The two were scheduled to fight in May in Parker's native New Zealand but Fury pulled out with an injury and Parker ended up winning an unanimous decision over late replacement Razvan Cojanu. The 25-year-old is midway through his Las Vegas based training camp and said that everything has been running smoothly. "I feel fantastic. I am training hard and am good shape. I am looking forward to the challenge of fighting someone that is 6'6" and uses the ring well. II look forward to fighting in front of his home crowd and putting on a great performance," said Parker. Fury, who is the cousin of former heavyweight champion Tyson Fury, has recently put up pictures and videos on his social media networks of his tough training regimens. Parker brushed them off saying that he wants to face the best possible version of Fury when they meet in the squared circle. "My message to him is to train as hard as he can because I am coming as a champion and I am going to home with my belts. Come with your best because I am coming with my best," he explained. Moments before our interview, former cruiserweight champion and top heavyweight contender Tony Bellew exchanged pleasantries with Parker. 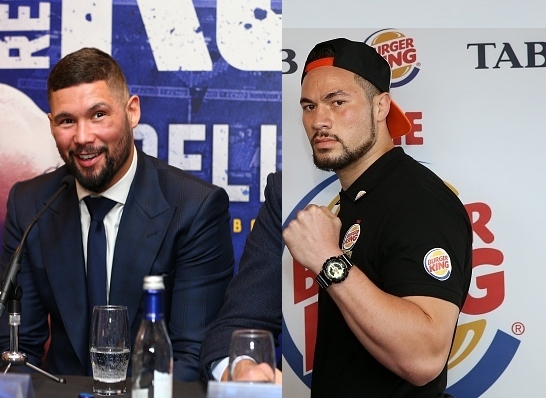 The New Zealander said that he is very interested in facing Bellew, who stopped David Haye in his most recent bout, after the Fury fight. "There is a chance that we may fight sometime soon. I need to get past Hughie and then we can set something up. I look forward to fighting Fury and then hopefully I will be fighting him. We'll see," Parker told BoxingScene.com. Parker had the flu agaisnt Mexican. Blob. The guy can fight.